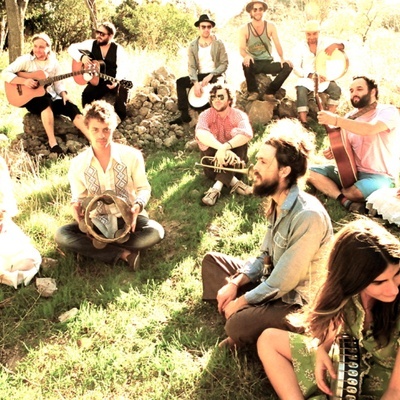 Edward Sharpe and the Magnetic Zeros is an American indie-folk ensemble band led by Alex Ebert, vocalist of the power-pop group Ima Robot. The band's first full-length recording, Up from Below, was released July 7, 2009 digitally and July 14, 2009 physically on Vagrant Records. Its first show as a full band was played July 18, 2007 at the Troubadour in West Hollywood, California. After breaking up with his girlfriend, moving out of his house, and joining a 12-step program for addiction, Ebert began work on a story about a messianic figure named Edward Sharpe.